Journeys of Inspiration (JOI) was born from the idea that outdoor adventure and the desire to make a positive difference in the lives of others go hand in hand. 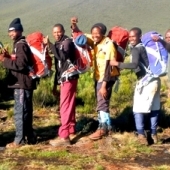 It began with a Kilimanjaro climb as a fundraising effort to benefit American Cancer Society, then grew to over 100 people making journeys all over the world to raise money for 11 different causes (to learn more about its origins and inspiring past, please visit the original website). As it continues to grow as part of Life Matters, incorporating volunteer service trips, spiritual adventures, Life Matters projects, and more fundraising treks, we encourage you to share your own journeys of inspiration on the Life Matters Facebook page. If you are interested in the free monthly JOI hikes, you can "like" the page for invitations and updates right in your newsfeed! 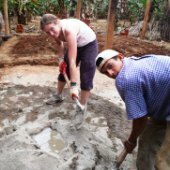 An inspiring group of teens is headed to Nicaragua in July to change the lives of some families in El Sauce. They'll be building permanent houses with the 4 Walls Project. Hannah and Tyresa, two scholarship recipients, are going- to contribute to their journey, click here! Rick and friends will be conquering another peak this summer, though a bit closer to home. 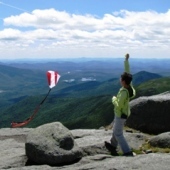 This inspiring trek to the highest point in New York for the Mt. Marcy Memorial Hike is in memory of those special people in our lives we have lost. Join us as we fly kites in celebration of those who matter to us! Sponsored by the 200 Club. Some hikers are hitting the Trail for a great cause! 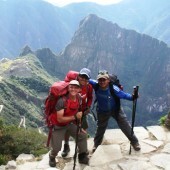 Several participants on the Inca Trail journey are inspirational in their efforts to raise money and awareness for Jacquie for A.L.L., a foundation dedicated to improving the lives of those with cancer. In November, Rick is trekking through northern India in search of the Dalai Lama! He'll also be spending some time in Dharamshala as a volunteer with the Tibetan refugees. This will prove to be a very spiritual and inspiring journey. 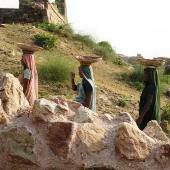 Next year we will offer song and support as we journey to Africa to build a house for one of our dedicated Kili porters. Raising Voices, Raising Roofs is the opportunity to experience the authentic and inspiring Africa! 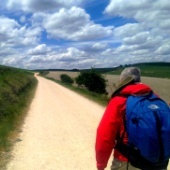 Returning to what started Life Matters, Rick is making another pilgrimage across Spain on the Camino Del Santiago, a journey that is sure to allow you to discover inspiration from within.